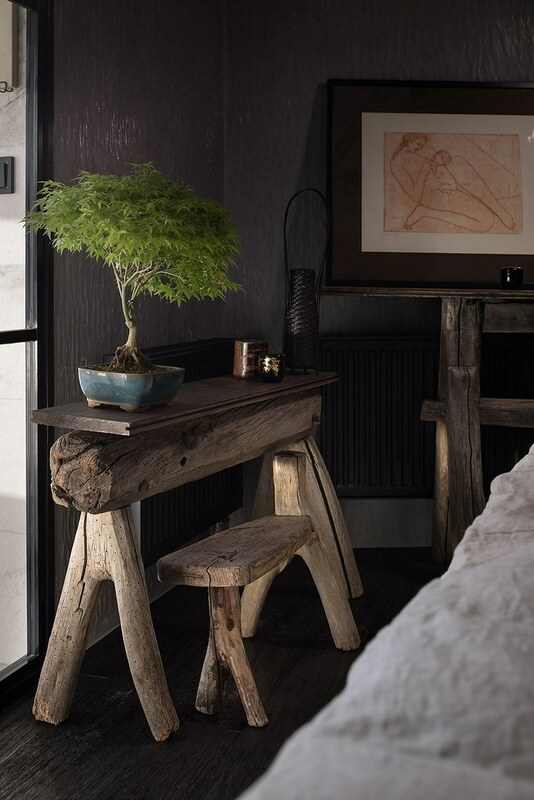 We are all familiar with the Japanese way of turning something imperfect into something valuable, a practice that is actually part of a wider Japanese philosophy called wabi-sabi, which sees all imperfect and incomplete things as possessing their own beauty. 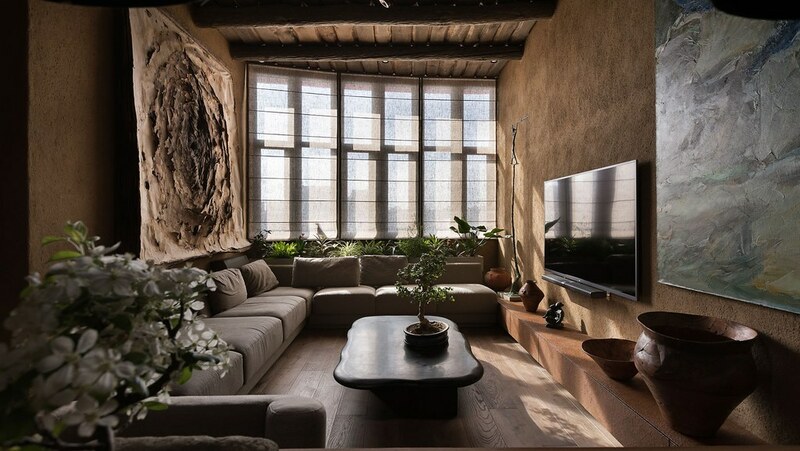 Wabi-Sabi also appreciates the unevenness, asymmetry and transience, so love of natural materials and forms: pebbles, branches, hand-made pottery, all these things have a certain roughness, simplicity and uniqueness, which make them beautiful despite their imperfect shapes and textures. 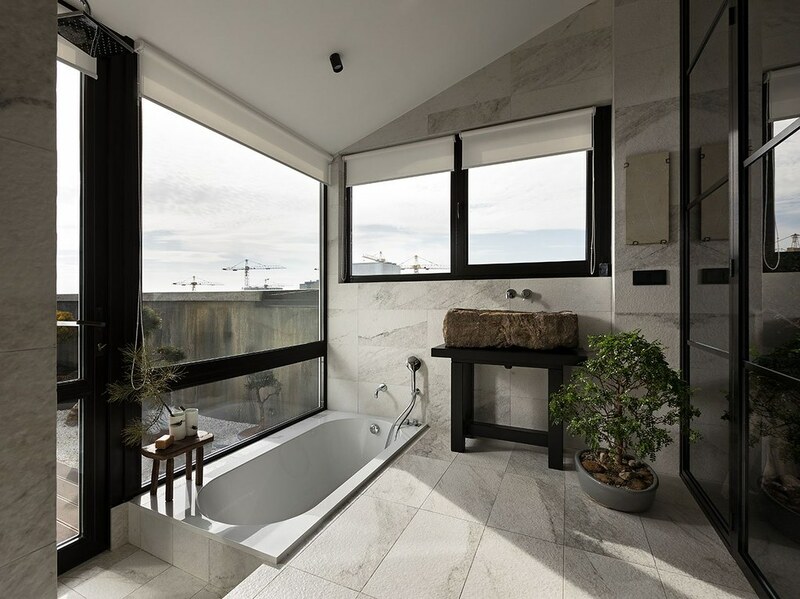 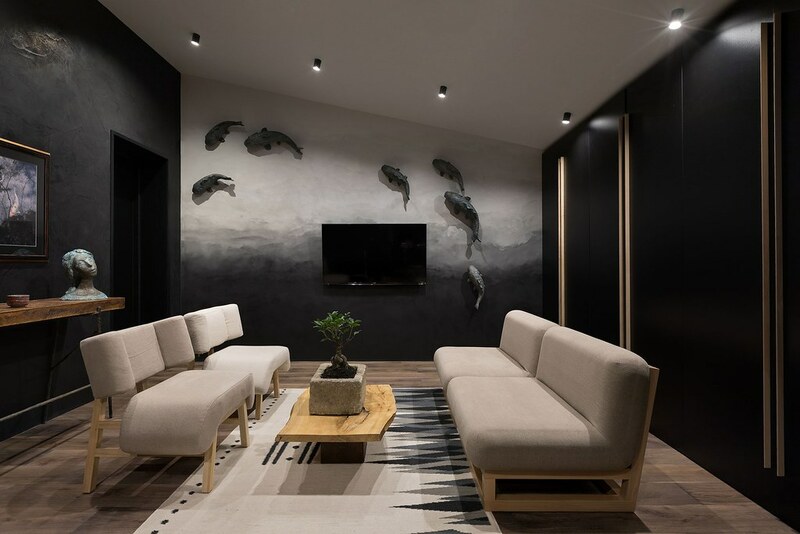 Ukrainian architect Sergey Makhno unites Japanese aesthetics with the traditions of his country in this stunning penthouse apartment, which he designed for his family. 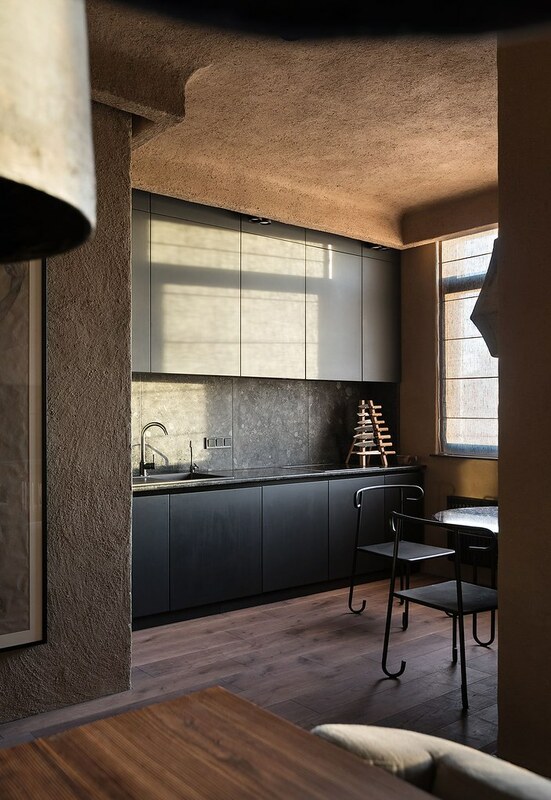 The two-storey apartment boasts a carefully designed interior that contrasts sharply with the concrete urban landscape outside. 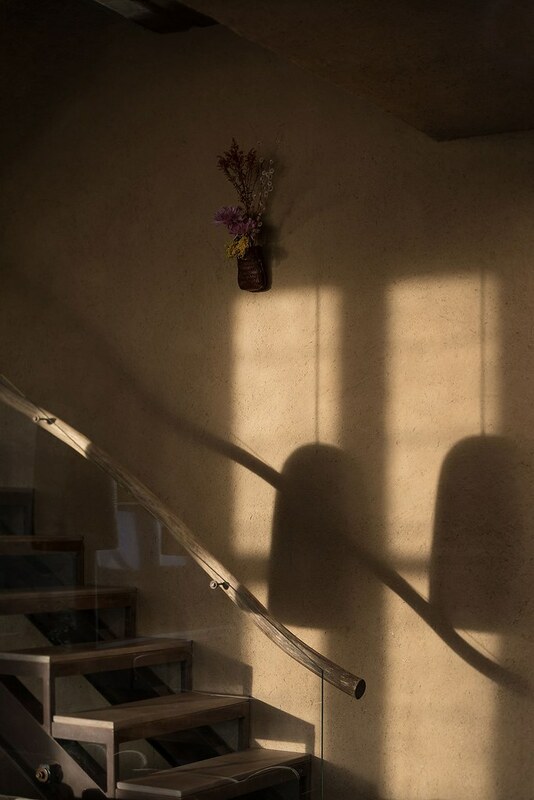 All the walls are clay in the technique used for old Ukrainian houses, while rough wooden beams that support the ceiling and doorways are another village mention. 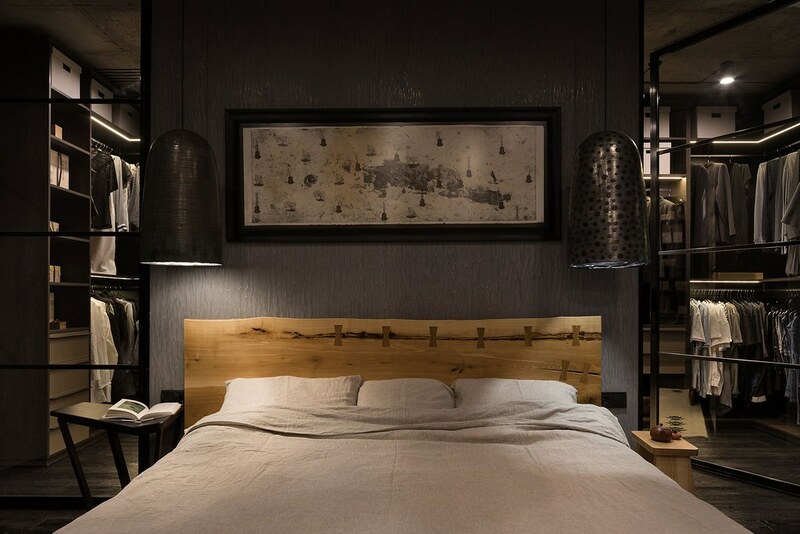 Despite its rural appearance, the apartment is equipped with the modern amenities that guarantee a comfortable lifestyle for its residents. 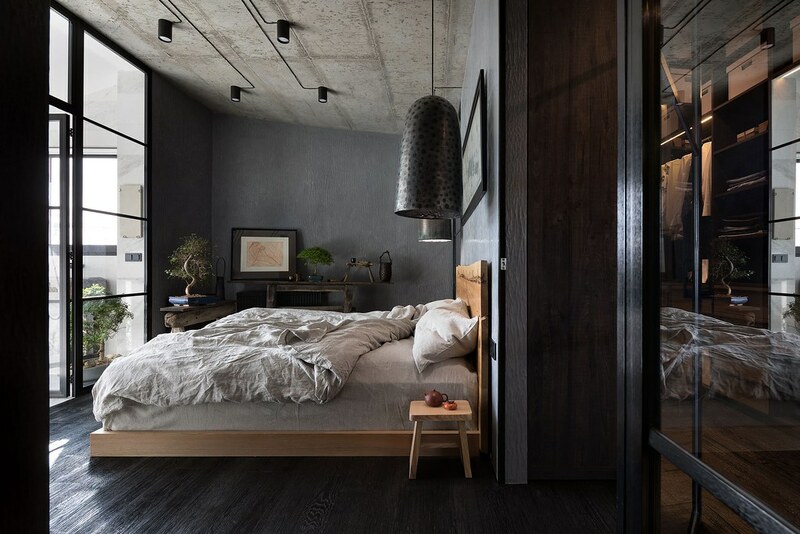 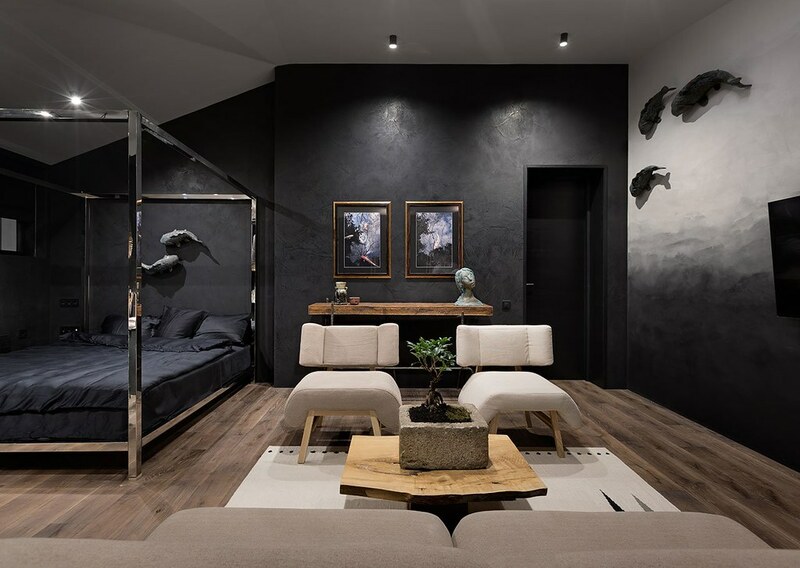 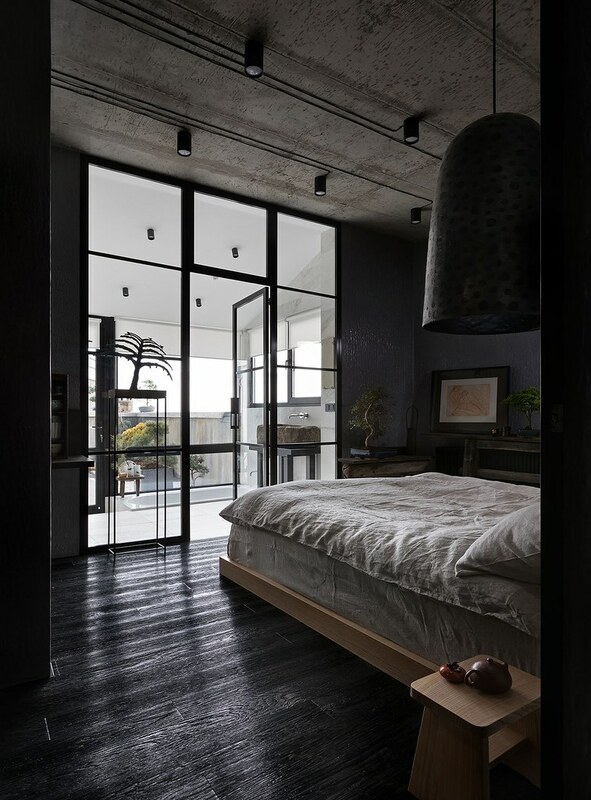 As often happens with architects building their own homes, Wabi Sabi apartment has some experimental touches, as well as many of Makhno’s lighting design and furniture. 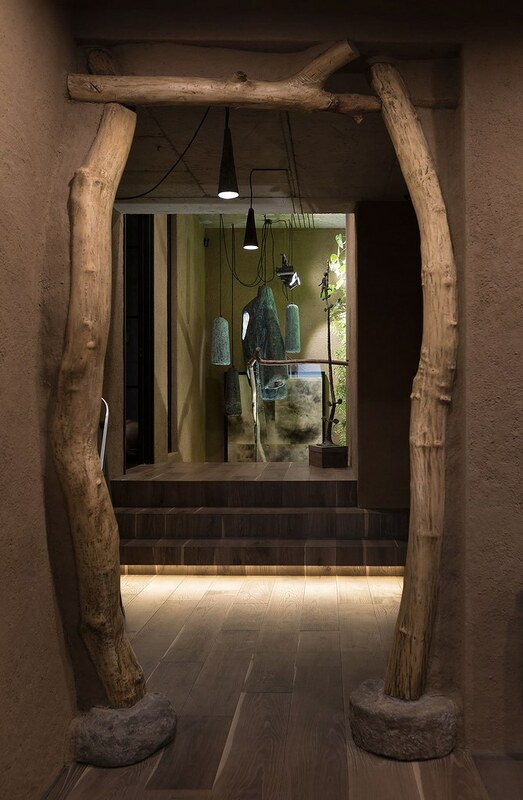 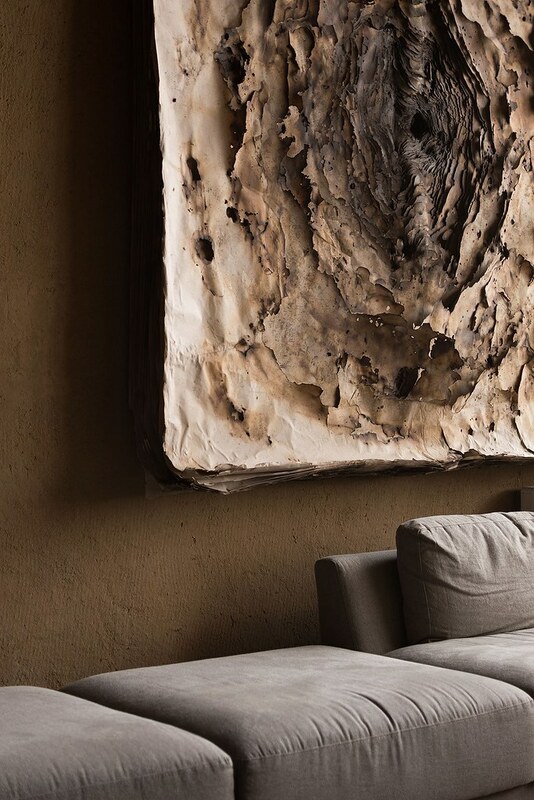 The main experiment was to add a conceptual approach to the overall design, based on the theory of the four elements: the earth is clay on the walls, fire and water are symbolized by various works of art, and the space between objects and rooms means the air. 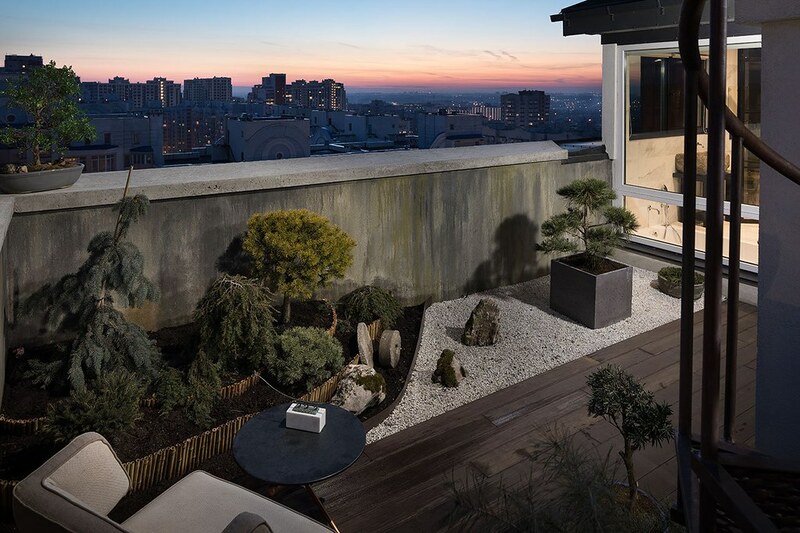 Trees of bonsai and a small garden on the roof of à la japonaise complement the eastern character of the apartment, and traditional woven carpets point to Ukrainian craft and culture. 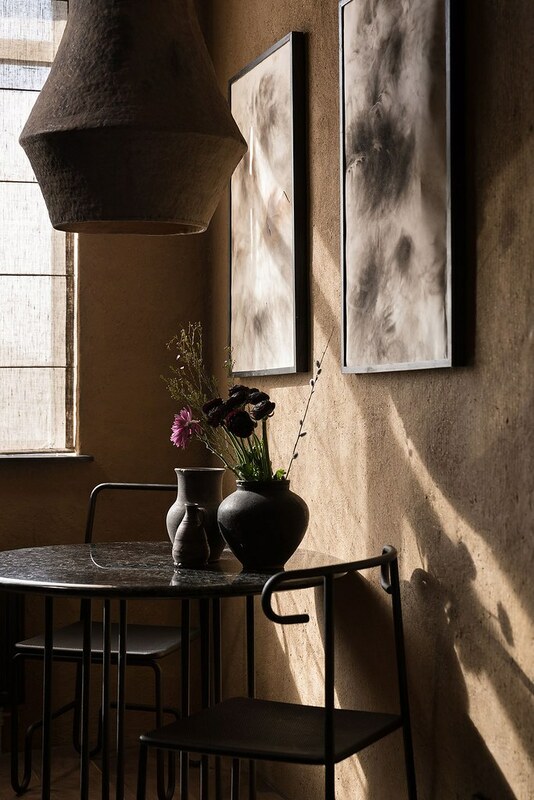 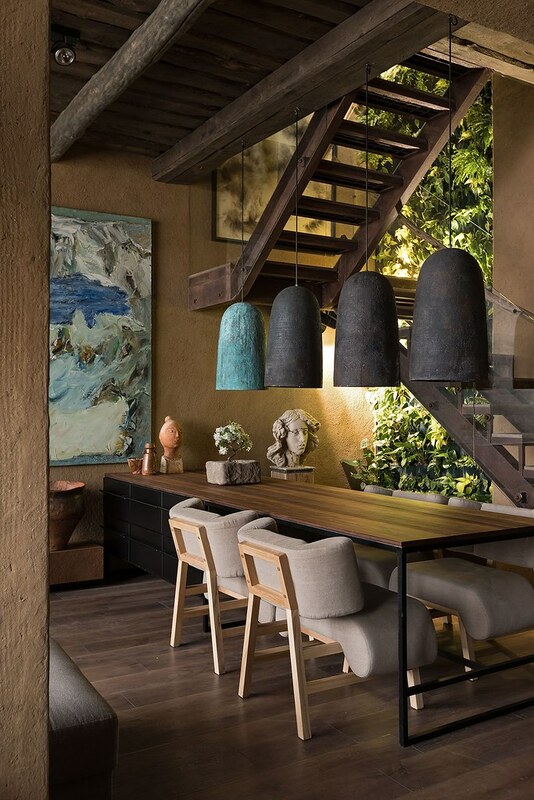 Makhno’s metal lampshades, similar to sculptures than functional objects, hang in the dining room and one of the bedrooms, as a way of incorporating the modern element into a common earthen and natural interior. 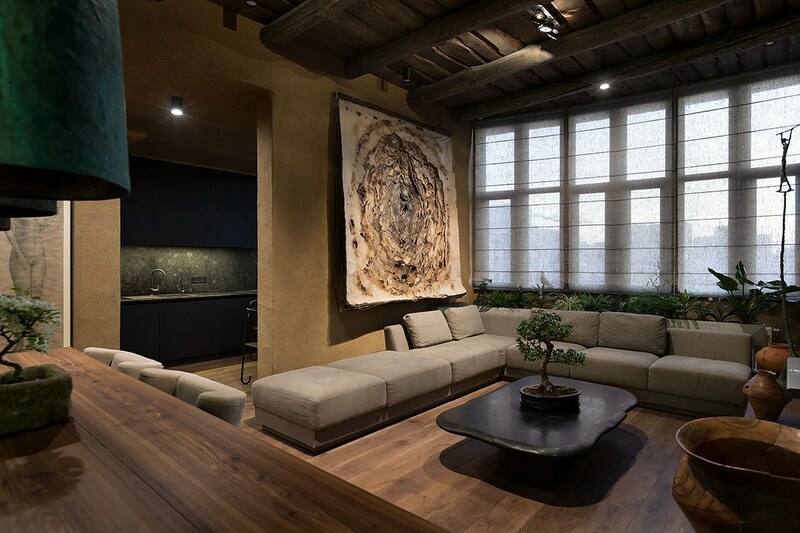 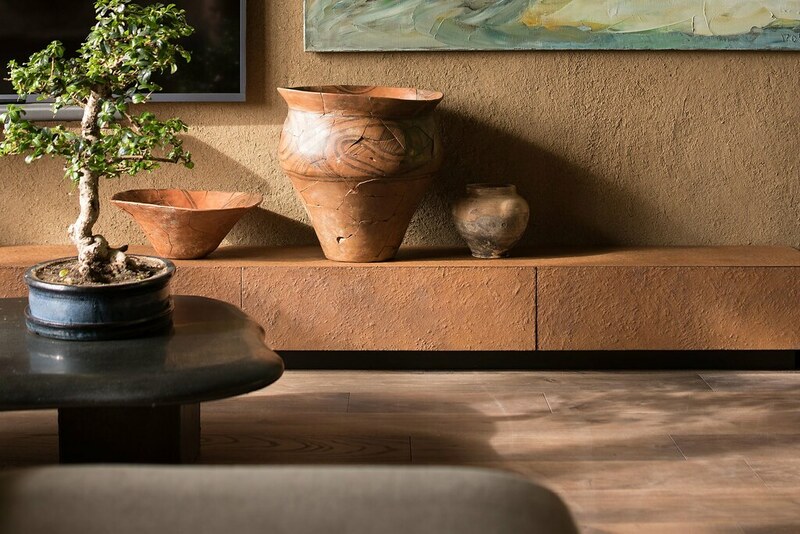 Their own shortcomings also demonstrate how the ancient philosophy of wabi sabi can find new applications in modern design, thanks to which we appreciate the beauty of handicrafts.